Showing results for tags 'm/s'. Hi, I know microphones are a bit matter of taste, but I would love to hear some suggestions about MS mics, especially for documentary shootings. Don't want to bring too much stuff with me. Basically, it needs to be portable, shotgun but also would be nice if I'm able to record some atmospheres with it on the location which could be very helpful in post. Any experience with Sanken CSS-50?Or maybe Sennheiser 418? (personally, I hate 416) I want to avoid 2 mic combo setup (shotgun and 8), could be too heavy and big to hide it. Thanks in advanced! Hi, this is my first post in this forum I'm interested in recording some surround ambiences and I was researching the techniques, that I can record with my equipment. 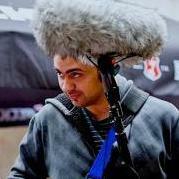 Has anyone any experience rigging rsm191 and neumann km140 for a double m/s surround recording. Are there any holes or phase problems? M/S Decoding required in Field Mixer and/or Recorder?